To make sure small problems don’t become BIG problems, it’s wise to have a Roof Health Check inspection performed annually. 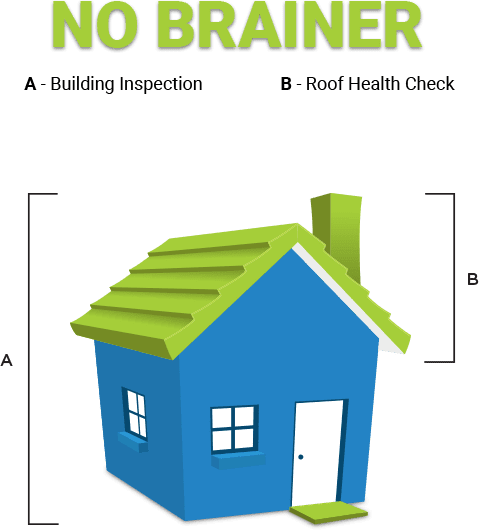 Maintaining a healthy roof structure ensures you avoid any major unwanted surprises that can be extremely expensive to repair or even replace. A normal building inspection can cost upward of $500. A Roof Health Check completed by one of our professional Area Managers is normally $180 ex GST, but as a first to the market, it is now completely FREE! We will contact you within 2 workings days to confirm the date and time of Building Inspection Health Check. The comprehensive Building inspection will take approximately 30-60 minutes to complete based on the size of the home and the nature of any problems detected. Our Area Manager will then provide you with a copy of the Building Inspection Report and explain the nature and extent of any problems detected. If you would then like the Area Manager to arrange for a Quote to be provided to fix any problems detected, this can be done there on site or at another date.